Santos Laciar is regarded as one of Argentina’s best fighters. What he lacked in power, he more than made up for with fierce determination and a sturdy chin. The rugged little battler won world titles at flyweight and junior bantamweight during the 1980s. Laciar was born in Huinca Renanco, Cordoba, Argentina in January 1959. His younger days went without incident. His parents and grandparents owned livestock and orchards. It was a no-frills existence, growing up in the countryside. His moniker “Falucho” refers to the color of his skin. He is considered to be part of the shrinking Afro-Argentine community. In 1890, about 25 percent of the population was black but starting in 1900, they were buried in the statistics by the massive influx of immigrants from all over the world. Laciar enjoyed playing soccer, a passion that brought him to a gym in 1971. During that time a coach told Laciar that he had the tools to box and he changed his discipline, focusing on his newly discovered interest. Laciar’s amateur career began when he was 13. He won a provincial title in Rio Cuarto, Cordoba. In total he had over 80 fights and only lost once. 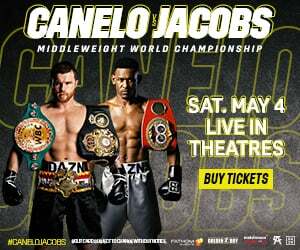 He drew with future WBA junior featherweight titlist Sergio Palma before turning his attention to the professional ranks at 17. Laciar learned on the job and progressed quickly on the notoriously tough Argentinean circuit, winning the state title within a year of turning pro. He regularly fought at home but on occasion traveled to the capital, fighting at the legendary Luna Park. There were a few defeats – notably to compatriot, the supremely talented Gustavo Ballas – but he continued to progress and won the National title in 1980. Later that year Laciar fought for the first time outside of Argentina, against Jaime Miranda, in Chile for the South American title. The fight resulted in an eight-round technical draw. 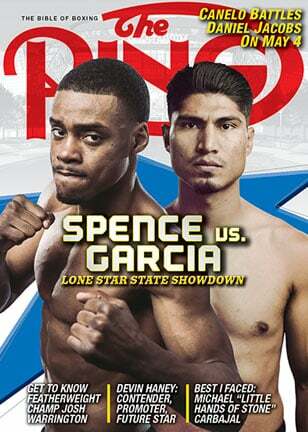 The two met in a rematch three months later and Laciar claimed the title. A couple of weeks removed from the Miranda win, he traveled to London, dropping a narrow points decision to another future titlist Charlie Magri in a non-title bout. 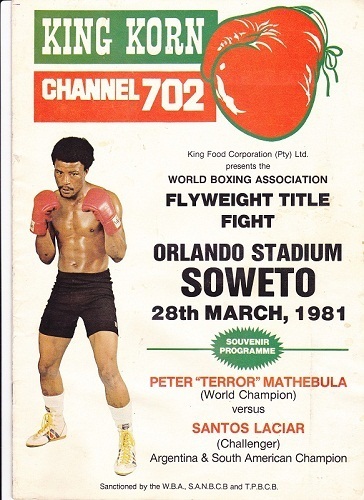 Unperturbed, just three months later – when former WBC 108-pound titlist Shigeo Nakajima refused to go to South Africa in protest to the Apartheid policies – the diminutive scrapper met Peter Mathebula for the WBA 112-pound title. 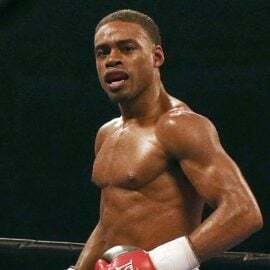 With the fight finely balanced entering the seventh round, Laciar broke through, dropping Mathebula with a barrage, the fight was stopped soon afterward. Laciar lost the title in spurious circumstances three months later to Luis Ibarra in Buenos Aires by close unanimous decision. In turn, Ibarra lost the belt to Juan Herrera three months later. In May 1982, Laciar went to Merida, in the south of Mexico, to challenge for his old title. Entering the championship rounds, the fight was evenly poised before Herrera retired with a shoulder injury. Laciar was once again champion. Over the next three years, Laciar went about his business, retaining his title on nine occasions. He regularly took to the road and successfully turned back challenges in Venezuela, Denmark, Japan, South Korea, Italy and France. During that time he edged Betulio Gonzalez (SD 15), Herrera (SD 15) and Hilario Zapata (UD 15).among others. Such was Laciar’s impressive title run that he was awarded the Olympia de Oro (Argentinean Sportsperson of the Year) in 1982, ’83 and ’84. No other Argentinean has ever won the distinction three times consecutively and only tennis great Guillermo Villas has won the award as many times. In July 1985, Laciar vacated his title to campaign at junior bantamweight. The Argentinean paymasters were able to tempt WBC beltholder Gilberto Roman to travel to Cordoba. The two fought each other to a standstill over 12 rounds in August of 1986; the judges couldn’t separate them and the fight was declared a draw. The two were back in unison nine months later, this time in neutral territory in Reims, France. 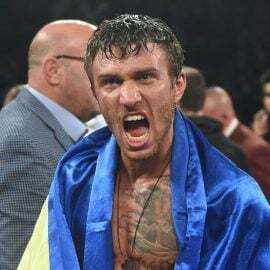 Midway through the 11th round, the fight was stopped due to cuts suffered by Roman and Laciar was awarded a TKO victory. Laciar’s reign didn’t last long however. He was dethroned three months later by Sugar Baby Rojas in Miami. 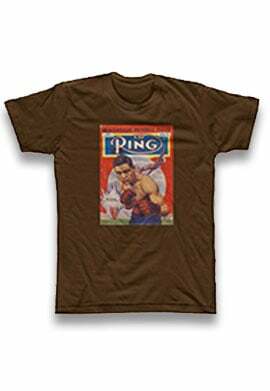 By the fall of 1988, he met Juan Carazo in a title eliminator, losing a split decision in Puerto Rico. Laciar traveled to Los Angeles and met Roman in their rubber match for the WBC 115-pound title in September 1989. This time Roman won a unanimous decision. 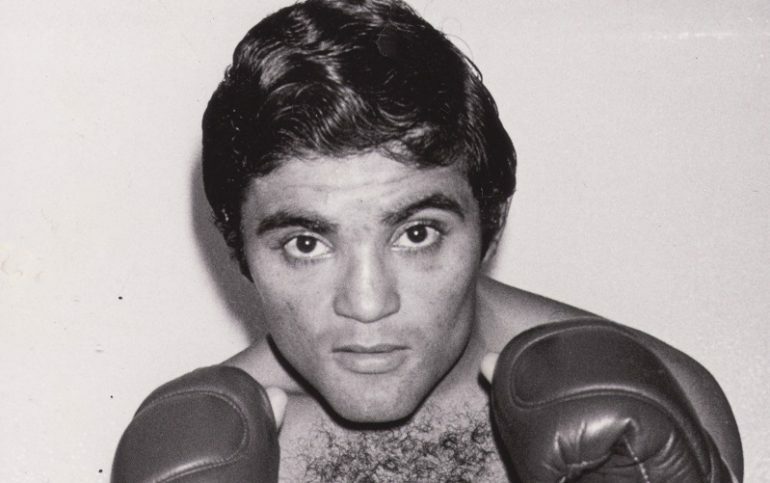 Laciar retired after losing to future WBA 112-pound titlist Hugo Soto in the fall of 1990, when he was 31, with a final record of 79-10-11 (with 31 knockouts). 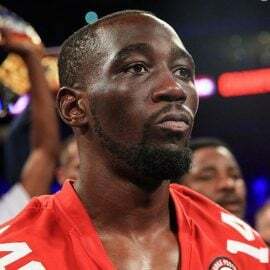 He took part in 101 bouts, saw 906 rounds of professional action and was never stopped. He took part in 16 world title fights and fought in 13 different countries. Laciar, now 60, is married to Alicia Viva. They live in Villa Carlos Paz (approximately 19 miles from Cordoba, the state capital). The couple have three daughters. Laciar is a sales agent for insurance company Mapfre Aconcahua and still enjoys playing soccer. 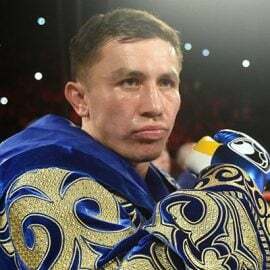 Although he earned modestly from boxing, he invested in several taxis and limousines and grew the fleet to around 200 at one point, though he has now diversified into real estate. He also works occasionally for TyC on its “Boxeo de Primera” program. 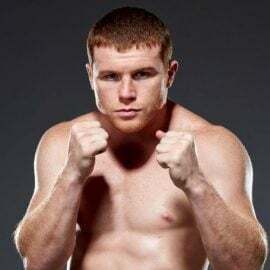 He spoke to RingTV.com about the best he fought in 10 key categories. GUSTAVO BALLAS: He had a very rough left hand; it came from everywhere. I had a tough time using my waist. His guard was always good and he was so accurate. BETULIO GONZALEZ: A complete fighter. I fought him when he was 33 years old. He defended himself very well with his elbows, with a good guard. He used his right hand to dodge punches. I was able to defeat him but it was so difficult. GILBERTO ROMAN: Juanito Herrera and Gilberto Roman had complicated left hands. They were very difficult men; they threw punches from all angles. Even without being well-positioned, they had heavy hands. If I had to pick, I would say Roman. HILARIO ZAPATA: I could not find him anywhere in the ring. He worked in zones and then he used the distance. You had to be very intelligent with Hilario; now he is a Hall-of-Famer. 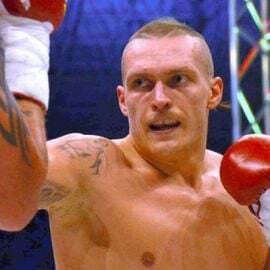 ANTOINE MONTERO: The Frenchman, we fought 15 rounds. Evidently at the end of the fight, he had to go to the hospital but he blocked everything I threw at him. The fight was in his country; I managed to retain my title. ROMAN: He had guts; he was smart. He worked where he hurt you the most. First he cut you with a blow and then he was very intelligent to work and hit continuously on that cut. JOSE IBIRIS: José Ibiris from Argentina, I fought three times with him; he was great. He knew how to take advantage of his power. Always with an amazing stance, he hit you with the best he had. LUIS GEREZ: Gilberto Roman from Mexico and Luis Gerez from Argentina, both had very heavy hands. We had to stay close to them and take some risks. They were natural bantamweights and I was a flyweight, so I really felt their power. I would say Gerez was the best puncher. CHARLIE MAGRI: It was one of the first fights outside my country. I was very much a rookie: he moved a lot. It was hard to get him into the corners; he constantly clinched. It was hard to fight him. ROMAN: Gilberto Roman was a very complete fighter. I learned a lot with him; I learned to jab a lot. I faced him already at the end of my career but he taught me many things. He was the best. Edgardo Rosani, Victor Silva and Diego Morilla helped coordinate, translate and provide additional information for this feature. RingTV.com appreciates their assistance.